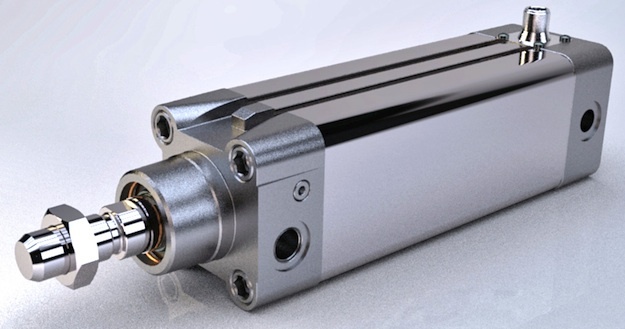 Camozzi Pneumatics released its Series 6PF Positioning Feedback Cylinder. In compliance with ISO 15552 standards, the series is equipped with a potentiometric transducer of a linear position integrated inside the rod. This type of cylinder, when used with the LRXA4 proportional servo valve, makes it possible along the entire stroke to constantly control the position of the rod. The pistons of the Series 6PF are equipped with specific seals for increased accuracy and a permanent magnet in order to use external end-stroke sensors. The cylinders come with bores from 50 mm to 125 mm and standard strokes from 50mm to 500mm (50mm intervals). They also feature protection class IP67 and standard ISO accessories.